The cashier will often be the first if not the only person to come into contact with customers when they enter your gas station, therefore you want to make sure that they are capable and confident to ensure a good experience for your customers. This post will tell you everything you need to know when training gas station cashiers to effectively manage customers and the register in your gas station convenience store. When training gas station cashiers, it’s important to consider the position as a whole, rather than just mechanical competency. While ensuring that your employees are comfortable with your point of sales system is important, you should also train employees to be friendly and helpful. This is important since they will surely experience a broad range of interactions on the job and need to remain calm and flexible! 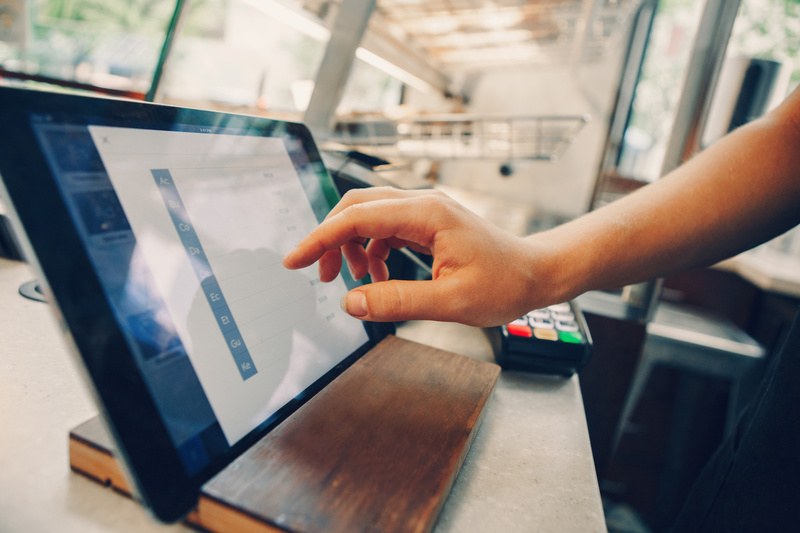 Choose a user friendly POS system: One easy step to convenience store management training is choosing a POS system that is easy to use and up-to-date. Not all POS systems are created equal! If your POS is more user-friendly, teaching it to your trainees will be easier, quicker, and will help them feel less overwhelmed in their new work environment. Introducing this POS system to new hires during a slow time in the day will eliminate unhelpful stress and uncertainty for both your new hire and your customers. Be thorough: Your trainees may struggle to learn all of the rules regarding things like store cleanliness and customer service, so be thorough in training to ensure new hire performance. If new hires are having problems with your POS specifically, chances are there are tutorial videos online for them to watch. Advise your trainees to take notes while training, allow them to shadow seasoned employees, and maybe keep a binder of information in an accessible location if ever they are unable to find help. Make sure they handle your money responsibly: Your cashiers are handling your money every day. Make sure to have clear policies regarding the register – formalize these policies by having trainees read through them and sign. Training new hires how to spot counterfeit money, how to properly close a register at the end of the day, and how to verbally count back change to eliminate mistakes are all great ways of ensuring that your trainee is handling your money correctly and responsibly. Prepare them for unpleasant interactions: As with any customer service job, employees should be prepared to effectively handle disgruntled customers. It can be difficult to stay calm and professional with a customer yelling at you over something as trivial as a can of soda. Gas station employees often deal with upset customers who have been stuck in traffic, are handling cranky children, somewhere important to be, etc. Good customer service goes a long way in these situations: train your new hires to adopt phrases such as “I’m very sorry to hear that” or “I completely understand why you’re upset.” New employees should also know when to contact a manager or a senior employee if a situation escalates beyond what they can handle. Creating a list of steps for training new hires will create a thorough and effective training experience. As a cashier, your new hire’s main training focus should be learning how to quickly and accurately use the register. Having new hires shadow experienced cashiers and allowing them to ask questions along the way will give them first hand experience without the threat of them botching a sale. If they are still having trouble managing the POS, encourage them to look up tutorial videos online and have them shadow employees until they feel comfortable enough to take on the register themselves. To keep your convenience store neat, tidy and functional and your team happy and confident, you need to delegate tasks to your employees. For example, a closing cashier will probably be tasked with taking out the garbage and closing the register. Ensure that your employees know who is responsible for what task by keeping a current task list posted and a binder with detailed descriptions of cleaning tasks available. Now that your trainee has learned the POS and their responsibilities in the store, switch their role and have an experienced cashier shadow them for a day or two to see if they are ready to handle their cashier position. Switching the shadowing roles allows new hires to take the reins a bit while still having a safety net just in case they forget a POS system operation like a refund or are unsure about a product. With so much new information being presented to your new cashier, it’s likely that new hires will forget details. Check in with them time and time again to make sure they are clear on your expectations: this doesn’t necessarily require a formal approach, rather than just a quick question here and there to see if they need a reminder on a particular task or POS operation. This way, you can be sure that the training was successful and no further training is required. By taking the time to thoroughly train your cashiers, you are ensuring better customer service and fewer mistakes at the cash register in the future. By using CStorePro Live Monitoring, you can track register activity live to understand the full picture behind each line void, transaction void and no-sale ring-up.